The Rev. Adam Thomas explores the impact of pervasive technology on our Christian walk, including pros and cons and uses of technology for ministry and witness. 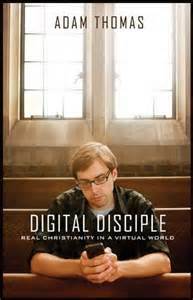 Among other things, he discusses how technology both connects and isolates us; and ways to connect with God and other Christians through technology, as well as suggested ways to keep “The Tech,” as he calls it, from becoming too pervasive in our lives. With a dose of dry humor and real-life examples, Thomas presents a guide that can be used simply as a narrative read or as a small-group study. As technology becomes ever more readily available and accessible, it is vital that Christians understand both the risks and benefits of it as it impacts our Christian journey. Thomas presents an easily readable and practical guide to technology and how to keep its perversion from isolating us from God and each other. Elizabeth Norton works as a public librarian in Michigan where she also writes professional reviews for print publications and enjoys serving on book award committees.